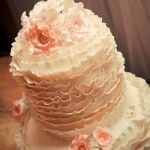 It was my absolute pleasure to create Shai & Brock’s very tall, two tier ruffle cake for their May wedding last year. 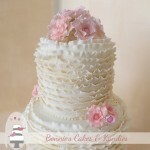 Held at the Boomerang Farm in Mudgeeraba on the Gold Coast, the beautiful couple hired Mitchell J Carlin Wedding Photographer to capture all of the special moments throughout their day. 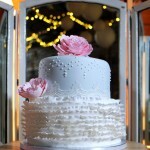 Shai & Brock’s wedding has been featured in the real weddings section of Queensland Brides. 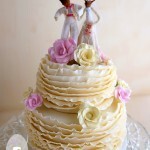 Much like their celebrant during the ceremony, I was in stitches just reading about their funniest moment of the day! Their story is gorgeous and as their first anniversary approaches, I have no doubt that they will have a wonderful and very happy marriage. 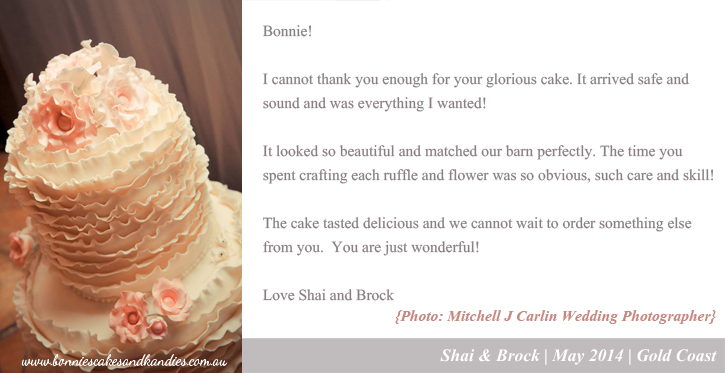 Kind words from Shai & Brock who were married at the Boomerang Farm in Mudgeeraba last year. Photograph by Mitchell J Carlin Wedding Photographer.